This model Ferrari was based on the 250 line that dominated the Le Mans races in 1956, 1960, and 1961. This particular model was developed by the man considered to be the best coach builder in the company, Scaglietti. Scaglietti’s work can be seen in the design of the front fenders, which are separated from the bonnet. The wealthy elite love driving this model, which has a Formula One appearance. These beautiful, fast cars sell for millions at car auctions and remain one of the most sought-after Ferrari models of all time. In the late 1950s, this was a favorite convertible for the rich and famous. Not only was this car absolutely stunning in its appearance, but it was also fast and comfortable. This beauty featured a V12 engine with the capability to rev up to 280 hp, making this car very desired among collectors. From 1962 to 1964, only 39 models of this Ferrari 250 GTO were manufactured, making this one of the rarest Ferrari models in the world. Once again, Ferrari managed to produce a car that is as powerful as it is beautiful, and this model won three FIFA World Championships in a row. The beautiful design of this model was developed by Pininfarina, who was working under the direction of Scaglietti at the time. These rare cars can go for up to $31 million at private auctions. Designed by Pininfarina, this model was designed in an effort to upgrade the Berlinetta series of Ferrari GT. The reason that this model is important is because its creation resulted in a new type of super car that Ferrari became well-known for. Later in his life, Enzo Ferrari’s last wish was to manufacture the world’s best car, and this model was the last one developed in an effort to fulfill his dream. This powerful car features a tall spoiler that prevents the car from turning upwards when it hit its top speed of 196 mph. This model features a truly unique design with its traditional-style nose and gullwing doors. Not only is this car beautiful, it also features impressive carbon-ceramic composite disc brakes as well as a paddle-shift transmission. Honestly, we could keep going on and on about the greatest models of Ferraris of all time, but we’ve got work to do. 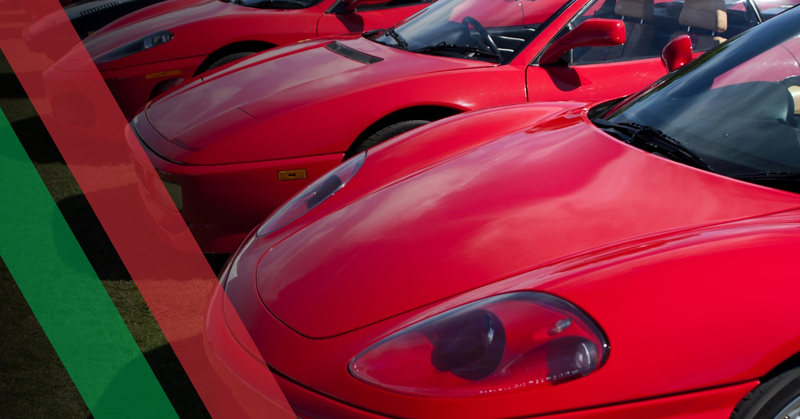 Our diagnostic car tool was designed specifically to work on exotics such as Ferraris. If Ferraris are not your thing, then our car diagnostic equipment also works with Maseratis, Lamborghinis, Aston Martins, and more. Contact Leonardo Diagnostic Tool today to learn more about our auto scanner tools.